Sea salt scrubs are useful for keeping skin soft and healthy. These are natural exfoliators of skin and slough away dead cells and other compounds stuck over skin. By removing unnecessary and hazardous compounds from skin these open skin pores and allow skin to stay healthily moisturized and soft. One should take note that sea salt scrubs are not for people with sensitive skin. It is not that sea salt is harsh but yes it is strong it its effects, so people with sensitive skin shall opt for brown sugar scrubs and not sea salt ones. Sea salt is oxidized before packing so it is free of additives or other chemicals, traces of minerals acids etc., which may accompany salt particles from sea water. 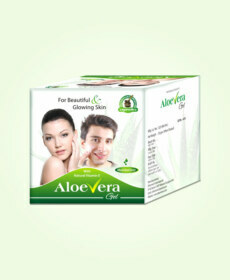 It is milder than common salt and works for providing clear, clean and soft skin. 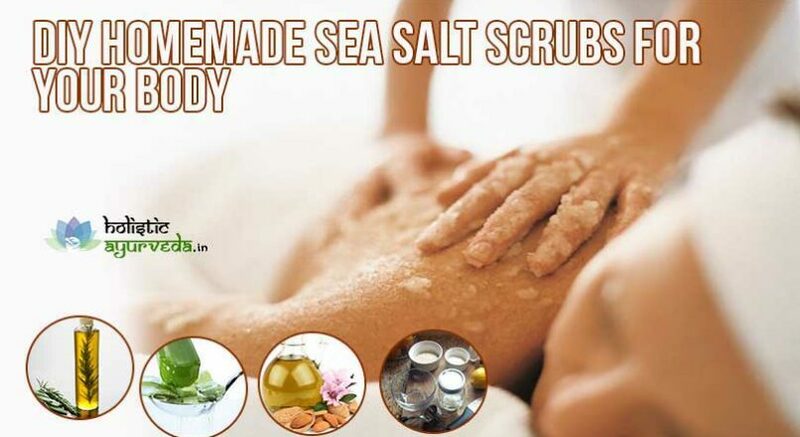 Here we have listed few sea salt scrub recipes from which you can choose your favorite, to get salon or spa like scrub at home at your convenience. For this homemade sea salt scrub recipe you will need ingredients like half cup of sweet almond, grapeseed or any other similar light-textured oil, do not use vegetable oil of any type. Take 1 cup of sea salt of good quality and it should be fine, finer the better. Choose any essential oil of your choice and the one which suits to your mood and skin type. Lemongrass, lavender, rosemary etc., are good oils to choose from. Take 5 to 15 drops of the oil. Take a bowl and add salt to it, pour oil and mix them. Try to get a smooth consistency and if you need you can extra oil or salt to get that. Once oil and salt are evenly mixed add drops of essential oil and mix them well too with the mixture. Apply the paste over your entire body, massage skin gently forming circular motions and after five minutes rinse it off. You will feel the difference instantly after shower. This is probably the simplest and quickest sea salt scrub recipes. To prepare a scrub using this recipe all you need is sea salt and olive oil. Take these in similar quantity and add, stir to mix and check for consistency, you do not want it too thin or thick. Add extra salt if you need to make it thicker or olive oil for thinner consistency. Apply over skin covering all the parts evenly and with gentle massage. Leave for few minutes and rinse off thoroughly. Pat your skin dry and there you go with soft and clean skin. Another sea salt scrub recipes require honey, oil, vitamin E capsules and of course sea salt of good quality. Take 2 cups of sea salt and one and one-third cups of Aloe Vera baby oil or soya oil. Mix these together and form a thick paste. 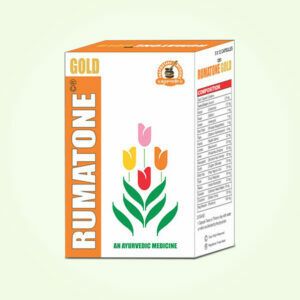 Break open 8 vitamin E capsules and add to the mixture and top it with two tablespoons of honey. If mixture is thin in consistency do not worry it will spread easily. Apply over entire body covering the parts which remain under cover. These areas have highest accumulation of dead cells and have weak skin prone to cuts and infections. Leave it for five minutes and rinse off. 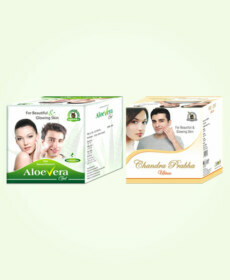 You will get refreshed and soft skin. Another simple and easy homemade sea salt scrub recipes require baby oil in place of olive oil. But you will need to prepare the scrub one day before use. Take sea salt and baby oil in equal quantity and add in a glass bottle or bowl with an airtight lid. Mix the ingredients and stir to form a proper mixture and shut it in an airtight glass container. Leave it for 2 hours and use it after shaking it well, apply all over body to get rid of dead skin layer and cells and other unwanted material. Leave for few minutes after massaging the paste thoroughly all over the body. Rinse off with plain bathwater and pat skin dry. This recipe for homemade sea salt scrubs may require little preparation. Take half cup sea salt and half cup of any oil of your choice like almond, jojoba, orange, grapefruit etc., and one teaspoon of zest of lemon or grapefruit. Mix all the ingredients and apply over body massaging entire skin in circular motions. Keep zest well finely chopped to facilitate massage. Leave it for few minutes and rinse off. 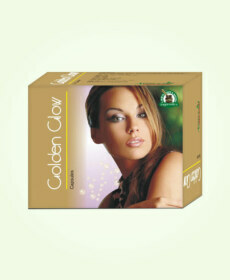 This will provide clear and healthy skin and will remove dead skin cells to open pores. You can try any of these recipes to get smoother skin and spa like body scrub at almost no expense. Compared to charges one needs to make to get body scrub at any spa or even to purchase readymade body scrubs of sea salt the cost of preparing it at home is very cheap. Plus you are well aware of all the ingredients which are touching your skin.